JOE SAGULA brings 38 years of NCAA collegiate head coaching experience to the University of North Carolina Volleyball program. 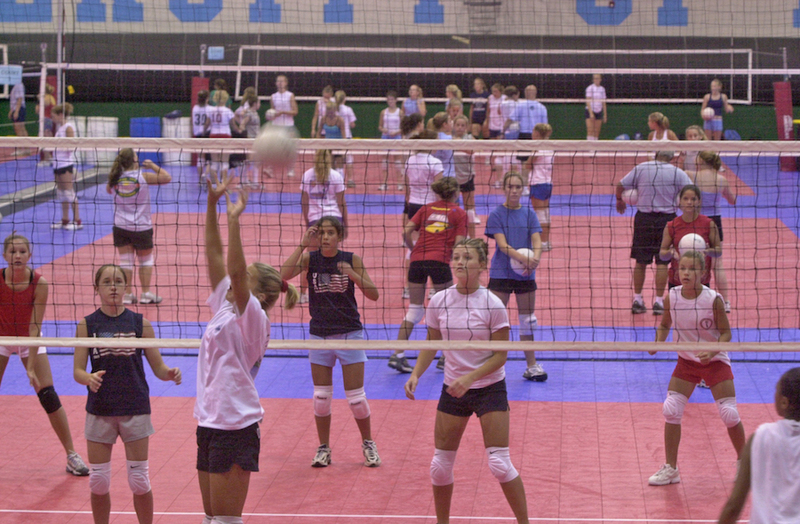 Carolina Volleyball Camps utilizes the outstanding facilities at the University of North Carolina in Chapel Hill, which includes Carmichael Arena – Home of the Tar Heel Volleyball program, Eddie Smith Field House – 12 court facility exclusive for summer volleyball camp operations, Fetzer Gym - full air-conditioned 6 court facility, and the Dean E. Smith Center – home to UNC basketball and our summer volleyball camps. Campers will have an opportunity to explore the campus and the volleyball facilities while training with the UNC volleyball coaches, players and an outstanding cadre of coaches. FULL payment is due with all camper REGISTRATIONS. Camp policy is “NO refunds will be processed after July 1, 2019″. Any refund requests prior to this date are subject to a $100.00 administrative processing fee. All requests for refunds MUST be in writing, include medical documentation and sent to info@carolinavolleyball.com prior to the beginning of the registered camp session. Sign up before March 22nd to receive our "Early Bird Special" and take $20 off your camp registration. Early Bird is only available on High Potential, Skills, Setter-Hitter-Libero and Position camp. The University of North Carolina-Chapel Hill; and the NCAA. is NOT responsible for any injuries sustained by a student participant. NCAA rules prohibit payment of camp expenses (transportation, camp, tuition, spending money, etc.) by representatives of the University of North Carolina’s athletic interests. Furthermore, NCAA rules prohibit free or reduced camp admissions privileges for prospects in the 9th grade or above.